Traditional Punjabi Dish -with Medium Heat Flavor made from Fresh Spices and Chef's own special Mix. Best Indian Delivery Restaurant- Takeaway Food Playa Blanca, Lanzarote. 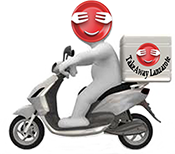 Food Delivery Service - Yaiza -Femes -Playa Blanca - Lanzarote. Balti Dishes - Takeaway Lanzarote There are 8 products to choose from.